A total of 18 Chinkaras or Indian gazelles have died in Rajasthan’s border district of Jaisalmer in the past fortnight bringing back into focus, the plight of the species. Pokhran forest official Braj Mohan Gupta told the Press Trust of India that on June 13, the caracasses of 16 chinkaras, all two to six-month-old, were found in Bhadaria village. An autopsy conducted by a medical board had found that a few of them had died after getting entangled in wire fencing while the others had been attacked by dogs, he said. In the latest incidents, two Chinkaras, apparently attacked by dogs, died in two separate incidents. While one was found dead in Pokhran town of the district, another one was found injured in Lathi village and died during its treatment. The bodies were buried after post-mortem examination. Gupta assured that drinking water arrangements had been made for wild animals in the area and forest rangers were patrolling sensitive areas. Chinkaras are categorised under Schedule-1 of the Wildlife (Protection) Act, 1972. Once found abundantly across a vast stretch of India’s arid and semi-arid grasslands, their population has declined alarmingly due to increased infrastructure development. 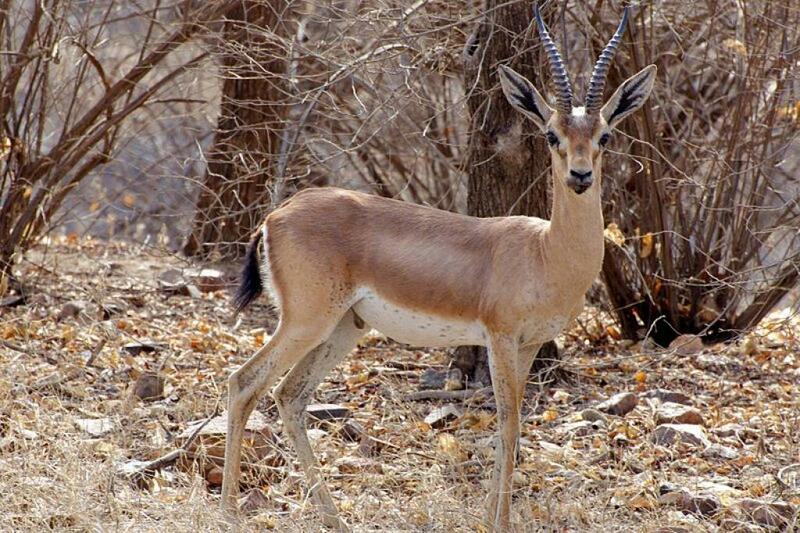 According to experts, the reasons for the Chinkara’s decline include cropping patterns, conversion of sandy hills into the plain cultivated land and excessive use of chemical sprays on crops. The incidents also highlight the increasing menace of stray dogs to wild animals in India. Dogs have been recorded in several different instances to have attacked and killed wildlife, including many protected species.